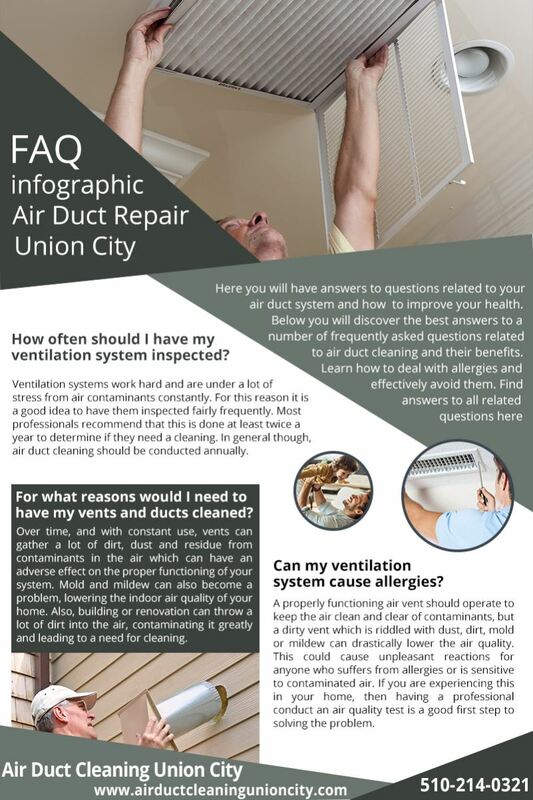 We at "Air Duct Cleaning Union City" have extensive experience in the air duct cleaning industry, and a growing number of satisfiedcustomers. We know how important it is for HVAC systems to be kept perfectly clean for not only sanitary reasons, but also in order to prevent it from wasting energy and pose as a health risk.We clean, sanitize and repair every single part of the HVAC system using powerful equipment and strong yet eco-friendly cleaning solutions. No matter how complex or specific the ductwork is, every square inch of the surface getsthoroughly cleaned. Our company provides both scheduled and emergency air duct cleaning services. Many of our customers hire us on a periodic basis. There are also those who seek our assistance when they notice a problem with the air quality in their home. Our technicians are equipped with professional machinery and tools, as well as the right cleaning products on every service. This way, no matter what the problem and kind of duct or vent it is, you can be rest assured it will be dealt with on the spot. You can count on our tech to clean every inch and corner, and also to sanitize the ductwork surfaces. This is done in order to eliminate bacterial and fungal growth completely, and to reduce the risk of future issues. 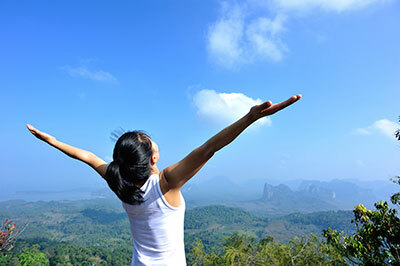 As our service is all-encompassing, and includes HVAC unit cleaning and filter cleaning and replacement as well. Generally – if it has a duct, we've got you covered! And by that we mean we also cover dryer duct cleaning. You might think it's trivial, but a dirty dryer duct caked with lint will work less efficiently. And why is it such a big deal? I will cost you more money on electricity, the clothes will take longer to dry and might smell bad and moist, and finally – it can be a serious fire hazard, as lint is highly flammable and the dryer is letting out hot air. Long story short- let us clean your dryer duct! As mentioned, we aren't only expert in cleaning. 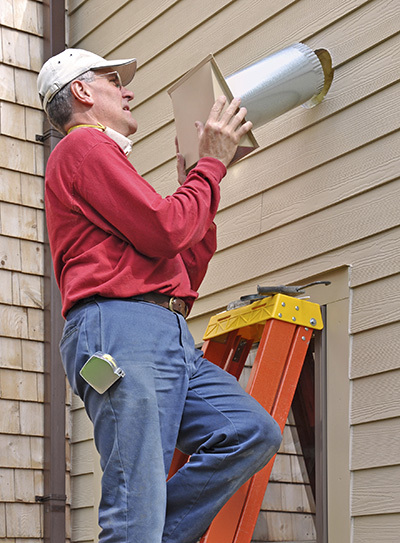 Sometimes your duct might have cracks of various sizes – and if we just clean it, it will get dirty again in no time. For that reasonour services include air duct repair and the repairof condenser units too. You can count on us for air filter replacement as well of course. To get professional cleaning for your HVAC system or dryer vent, call us or leave us a note. Check our website for more details on our services.